Are you still struggling to live a healthier lifestyle? It all comes down to your daily habits. Sometimes people think in terms of this diet, that diet or an exercise plan that never comes to fruition. When it comes to getting healthy, the power of consistency is the key. Do your daily habits bring you closer to or further away from a healthy lifestyle? It’s so true. Sometimes we have over-the-top motivation to do something but it’s not lasting. That is due to lack of consistency and discipline. When you establish consistent, positive habits, you will be well on your way to a healthy you! Sometimes I look back at my life and can hardly believe I used to be a junk food junkie! Seriously! I felt like crap most of the time. It wasn’t until I decided to make healthier choices on a consistent basis that my life changed in a big way for the better! 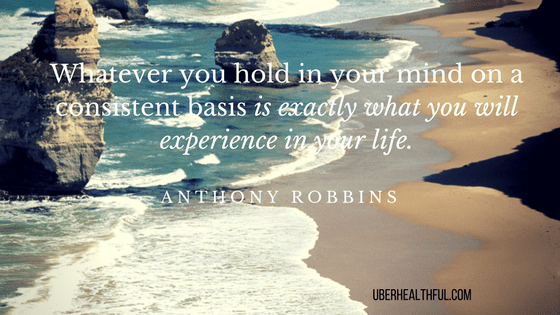 Here are 3 tips to use the power of consistency for a healthy you! Everyone goes for the quick fix. Unfortunately those don’t work. Imagine if you could snap your fingers and suddenly be deep into a healthy lifestyle? Here’s the truth. If you start exercising and eating healthier right now, will you look or feel different tomorrow? NO. Will you look or feel different in 2 days? NO. Think about how much time it took you to get into your present state of health. Well, it’s going to take time to get healthy again. For example, when I was feeling crappy due to eating junk food, it took time before my body started feeling better again. What would have happened if I gave up after the first few days because I didn’t immediately feel better? The power of consistency is a realistic model to accomplish great things in your life. Consistency over time works! There are no quick results. Instead, make incremental changes over time and the results will come. Be consistent. Old habits are hard to break, aren’t they? Believe me I know that to be true. Creating new habits and being consistent means doing it even when you don’t feel like it. Getting started is the biggest challenge. But once you do, use momentum to keep it going. Take small steps. Don’t overwhelm yourself with too many changes at once. Start out with easy to manage new habits and use the power of consistency to keep it going. Add new healthy habits as you gain momentum with your new lifestyle. You’ll love it! Focus on what is most important towards reaching your goals. It’s easy to do things that don’t contribute to your goal, right? Focus on the process and activity, not the results. The results will come if you consistently do the right activities each day! Here’s the thing: the power of consistency works whether you create good healthy habits or poor unhealthy habits. For example, if you eat candy bars everyday, that is a consistent habit that you have. So you already know how to be consistent, you just have to change the activity! I highly recommend the book by Darren Hardy, “The Compound Effect.” You’ll learn about how the power of consistency and persistence work in your life. 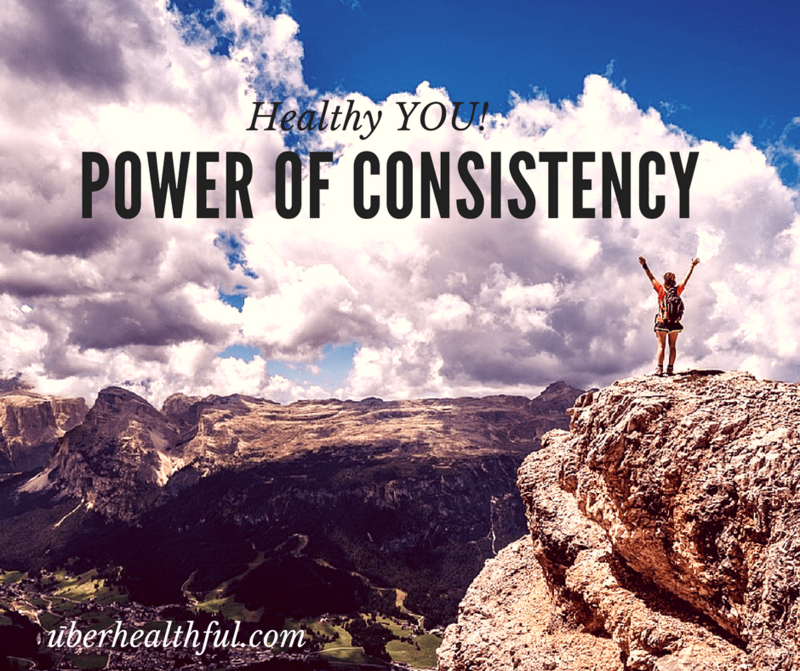 I hope you gained some value from this blog post about Using the Power of Consistency for a Healthy You. I appreciate if you would share in social media with anyone who may also gain value from it.